No lights. If I have pain at night and cant sleep, I don't need to disturb my wife while in bed (a single LED is VERY bright in a dark room or when being discrete). Single button for on demand draw and to power on. Hold to draw and turn on. A low profile thumb rollable dial for temperature adjustment instead of the front button. No need for lights. The dial should be grippy and something medical users--without great dexterity--can use/roll easily. Something you just look at and can the tell the temperature setting without the need to do anything else. Analog is simple can be adjusted without turning on. To check the battery, just shake the unit. Different number of vibrations tells battery level. Replace the crucible and latch system with a single all ceramic circular disc that slides into place. Multiple chambers/crucibles (say 3) on the single disc for continuous use and simple loading, cleaning, and filling. I picture a round disc (maybe 3/8" thick or so) of solid ceramic. Holes drilled around the edge for each chamber. The holes for the chambers dont go all the way through; rather, multiple small holes at the bottom of each hole create a ceramic screen for each chamber. No stainless screens to clog or impact taste. Slide the disc into the unit, then rotate the disc with your thumb (like the temperature dial) to change chambers. The disc could stick out a little like this thing: https://www.coleparmer.com/i/cole-parmer-manual-laboratory-label-maker/6554342 depending how big it is, so long as the chambers are covered and herb doesnt fall out. Standard 18650(s) replaceable batteries pop in via tubular ports on the bottom. USB C port can charge batteries while in the unit. The unit can look about the same, the feel of the mv1 is nice, just not ugly spaceship colors and chrome, etc. The heat sink is good, maybe just change and refine how easily it goes together (so it feels nicely together when done assembling and so the order in which you put the pieces together does not matter). All ceramic/glass over mixed ceramic and stainless steel would be better unless the vapor wont get as cool. App if you want, but on demand convection vaporizers should not need an app. No or barely noticeable noise from heater. sweetherb, AJS, Razshiro and 1 other person like this. @ghostvapesofficial , i heard this feature will be available with next firmware update, is it true? Brewervapesalot and Zow237 like this. Reading all these suggestions is making me realize how much difference there is in terms of customer preference for how devices should look, feel, and operate. Trulukkyphrank, Brewervapesalot, Vitolo and 6 others like this. Lack of replies says only one thing.keep away from the mv1!!!! Hi everyone.im due to feed my addiction of buying new vape gear and a new portable is what I'm thinking.eitjer the mv1 or a s&b mighty.does the mv1 work as it should now or does it still have all of those issues from it's early.days? To answer your question, a lot has been improved. I've beta tested the MV1 for about a year, and the units rolling off the lines now perform as consistently as any other on-demand convection vape I own. I was critical of the crucible system at first (I was also critical of the ELB with the Evo when I beta tested that unit, but I came to quickly love it), but I'm now a fan of this one, too, after getting the crucible dispenser. There are very few vapes that allow you to remove the entire oven, and that's a plus for cleaning and packing multiples for the day or evening. The control scheme took me about two read-throughs to master. It's not intuitive, but it's not complicated, either, like the Pax. I'm a fan of any control scheme that does away with five clicks for on/off! I've had the pleasure of working hands-on with a couple of Ghost owners who had overheating issues, and both times it came down to the user drawing too slowly. That's really the only thing I tell people now in terms of any heads-up. If you have weak lungs, or just like sipping like you're on a conduction vape, you have a chance of overheating. Personally, I've never overheated during normal use. I've done it on purpose, and it takes a pretty slow draw to do it. sag, Trulukkyphrank, Mr. Gweilo 420 and 11 others like this. Thank you.something of this nature was all I wanted. Trulukkyphrank, Vitolo and stickstones like this. You waited about twelve hours to jump to your conclusion, and then you set off a nasty exchange that could earn warning points for several people if I were so inclined. I had to delete several messages. I lost count because you people were still sniping at each other while I was trying to tidy up. Bottom line here: have patience and be nice. To the rest of you, BE NICE. Why would you make public comments like those I deleted? You know what you wrote and you should know our primary rule: Be Nice. Did I mention you are supposed to be nice? Anything that prolongs this discussion will definitely earn a warning point. Trulukkyphrank, Diggy Smalls, ShayWhiteGrow and 7 others like this. A couple of mine overheated. Most people in my videos thought I drew too fast. It didnt matter the draw speed, though. So, given @stickstones insight and knowledge, anyone drawing fast with an overheating unit should get a warranty ticket and a replacement. Definitely a ticket started. But too fast and overheating sounds more like early unit issues with a heat bypass. That got fixed a while back in beta testing and the latest production model I received had the needed improvements. Zow237, ghostvapesofficial, Summer and 2 others like this. 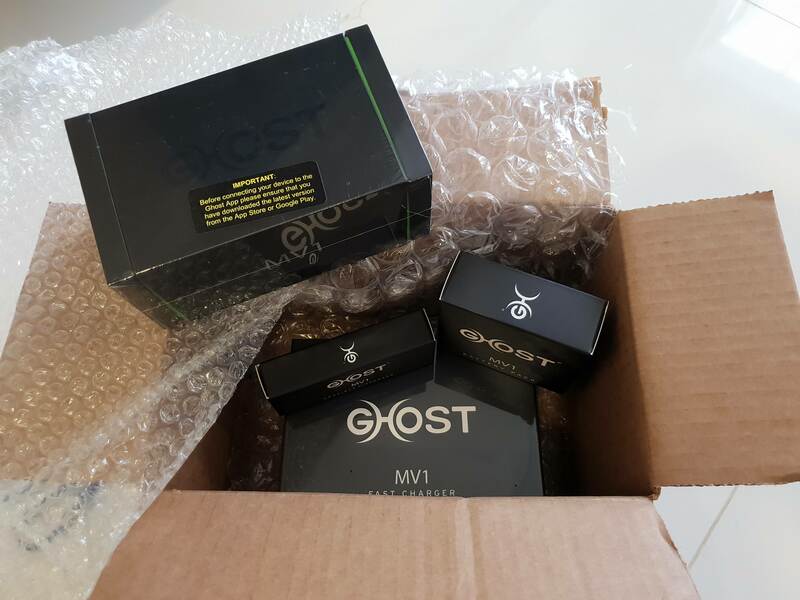 Now that the technical issues have been ironed out, it makes sense that Ghost's resources would be put towards refining the user options through the app and firmware upgrades. Launching the Stealth and refining the other model seems like a commitment to the present. I've only had mine for a few days and i absolutely love it. I wanted cool killer vapor first and foremost which i got and i love the crucible\dispenser system. Now they just need to finish it all off with some more user control. There's so much potential to please almost everyone just by putting more options in the app. The button/light system is fine if done in a way people feel is intuitive and that obviously has some variation among users. I don't mind the way they have it all set up, but it wouldn't be my first choice and if it were customizable through the app, i would likely change it depending on the options. They could maybe lean on the vape button more to separate the battery indicator and temperature controls. -Options available for longer draw time before it shuts off. -A button sequence for putting it in shipping mode to shut off bluetooth. -Light off and dimming options. -Crucible tray or case of some kind with 20-30 crucibles. Give me all of that and i would call it the perfect Vaporizer. GV will continue to keep improving the firmware in terms of operation & battery life. One of the big things they are doing currently is getting the android app fully functional. iOs is functioning very well, but with android, there are just so many different versions on different phone platforms that it's been a challenge to get the app to function for universally. So I wouldn't be surprised if this is an ongoing top priority project for a while. Of course, along with the next firmware release for lights & stuff they referenced. Tongueofra, Trulukkyphrank, ghostvapesofficial and 1 other person like this. Tongueofra, Vapify, Trulukkyphrank and 8 others like this. Is all support still exclusively through the vapelife forum, or can support be found directly through their website? No need to go to VapeLife anymore. I received stellar service by DMing Nerissa here. dodgy_b, ghostvapesofficial and Summer like this. It seems there has been considerable improvements since I got mine and I am tempted by the Stealth upgrade... or, are we at a point in time when you think a MV2 might be close to release? @FlyingLow, I would be surprised if the MV-2 showed up before at least the 2 year mark, & looking at other vapes like the Mighty, 3 years is more like it. Right now, we're only a year in, so I'm sure we have at least another year to wait. As far as the SB upgrade, all I can say is go for it. The vapor quality is fantastic. Not all support is exclusively through VL. On our Ghost website, we have Live Chat during business hours and full ticketing system. You are more than welcome to PM me. graydeh1, VAPEHUNTER, ShayWhiteGrow and 2 others like this. 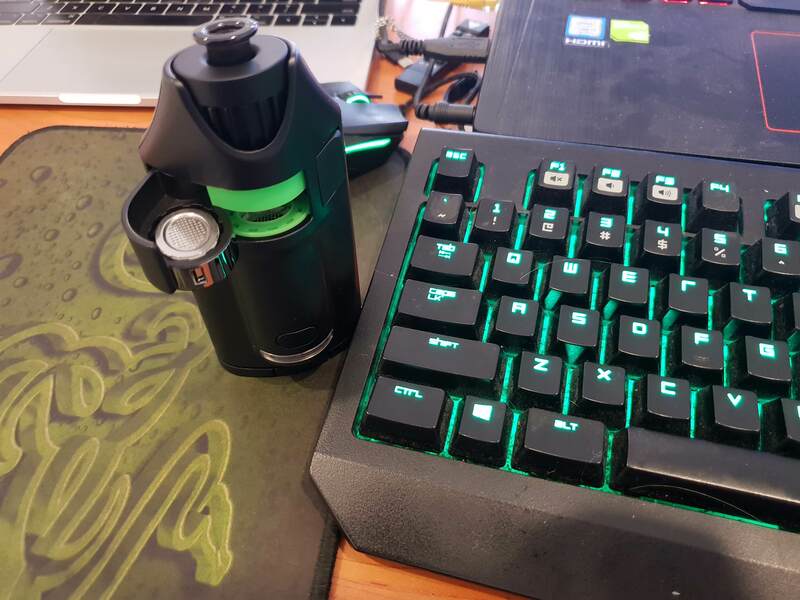 Congratulations to @VAPEHUNTER for winning our third Stealth Edition Bundle! Thank you FC members for sharing your favorite candies! There were some I have not heard of and cannot wait to try them, except for @Buildozer and @Mr Mellish . I appreciate some of you posting your halloween costumes and I did see some ghosts out there. Our last giveaway contest is now open! Please click here to enter! Trulukkyphrank, graydeh1, Helios and 9 others like this. I didn't think there was any difference between the Stealth edition and other colours except the door latch was tightened / different stem and of course colour. They all still use the newer heat sinks so any vapour production should be the same right? Or have I missed something? manickev, Zow237 and MinnBobber like this. Jill NYC, graydeh1, MoltenTiger and 7 others like this. Welcome @Ohm and Away. We look forward to hearing your impressions of the Ghost. dodgy_b, Alexis, CG420 and 1 other person like this.